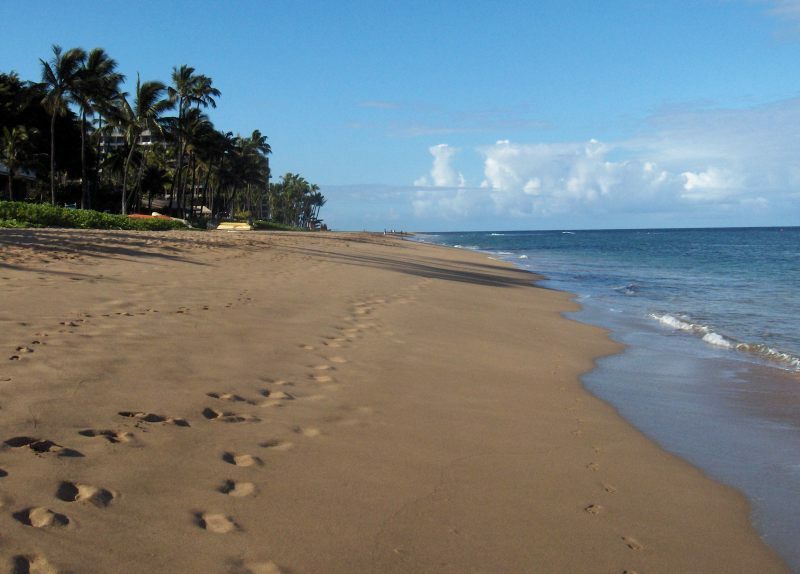 Where Are the Best Beaches on Maui? 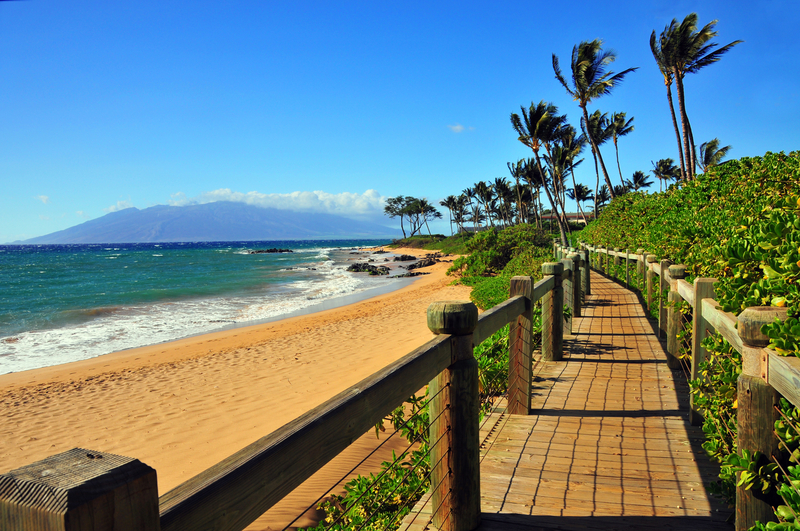 Without a doubt, the beaches of Maui are one of its top attractions and with reason. Frankly, I have not been to a bad beach on Maui. Your best beach may very well be the one closest to where you are staying. But there are beaches that are better than others for more specific reasons. I will try to point them out as well as throw in a few favorites. 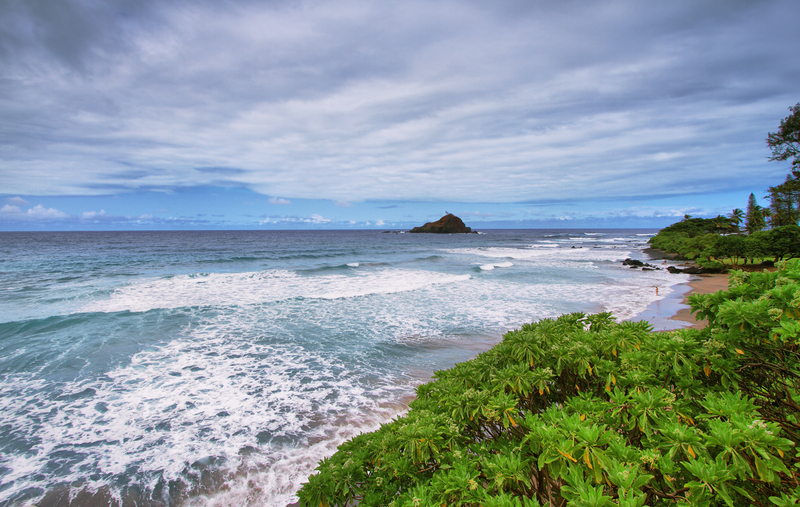 Ho’okipa Beach – We will start with possibly the most exciting beach. 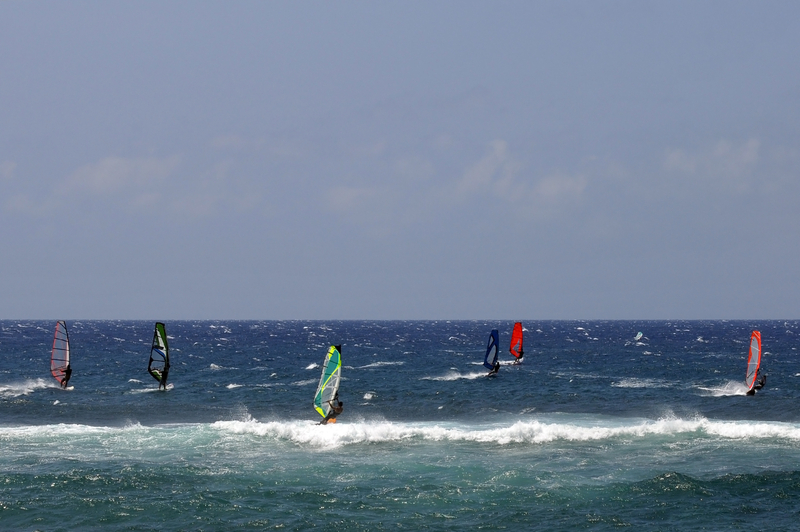 Ho’okipa Beach is one of the world’s best beaches for windsurfers. When I say windsurfers, I mean professional, gonzo-crazy windsurfers. This beach hosts two world-class windsurfing competitions a year and is the beach to go to watch the surfers and windsurfers. The beach is surrounded by cliffs, which makes for a great place to sit for viewing. Bring your binoculars. Some of the action is quite a distance from the beach. To get there, drive three miles east of Paia on Highway 36. Look to the north side of the highway. You can’t miss it. 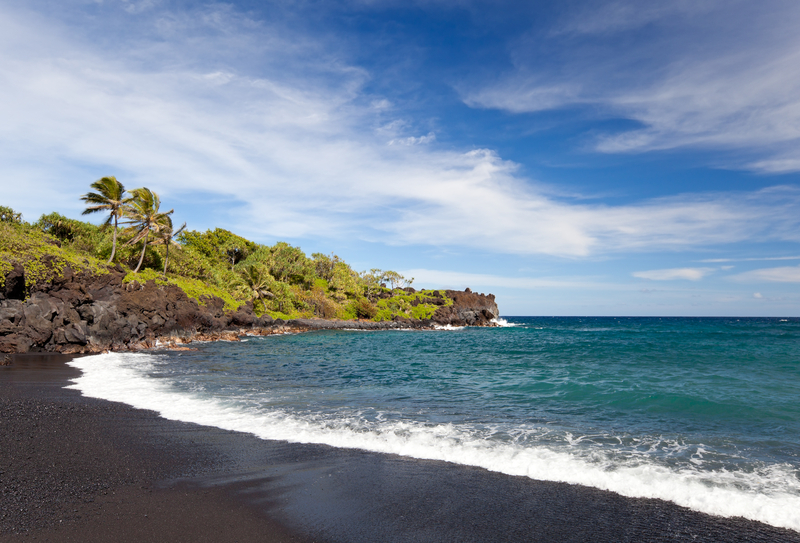 Wai`anapanapa Beach – This is the famous black sand beach of Maui. The black sand is actually lava rock that has been broken up by the waves and polished. Rather than calling it a black sand beach, I would call it a beach covered with very small, smooth black rocks. Whatever you want to call it, you need to walk barefoot on this beach that is found on the road to Hana just before you actually reach Hana (three miles). There are camping facilities at this state park and also barbeque pits and a drinking fountain. Hamoa Beach – This is one of the most beautiful beaches in Hawaii. Pictures of it repeatedly appear in Hawaiian tourist literature. It is close to Hana and the surroundings are quite breathtaking. The bay is surrounded by cliffs and requires traversing some steep steps to get down to the beach. When the surf is down, it can be a great beach for snorkeling. When the surf is up, break out the boogie boards. To get there, continue taking the Hana Highway through Hana. About three miles out of town, take a left turn onto Haneoo Road, which loops around next to Hamoa Beach and then connects back up to the Hana Highway. Puunoa Beach (also called Baby Beach) – This one is great for young kids as it is well protected. The shore is very calm, and the water is shallow and runs next to Lahaina. To get there, go north on Front Street and take a left on Kai Pali Street or Puamana Street and then follow the beach access signs. 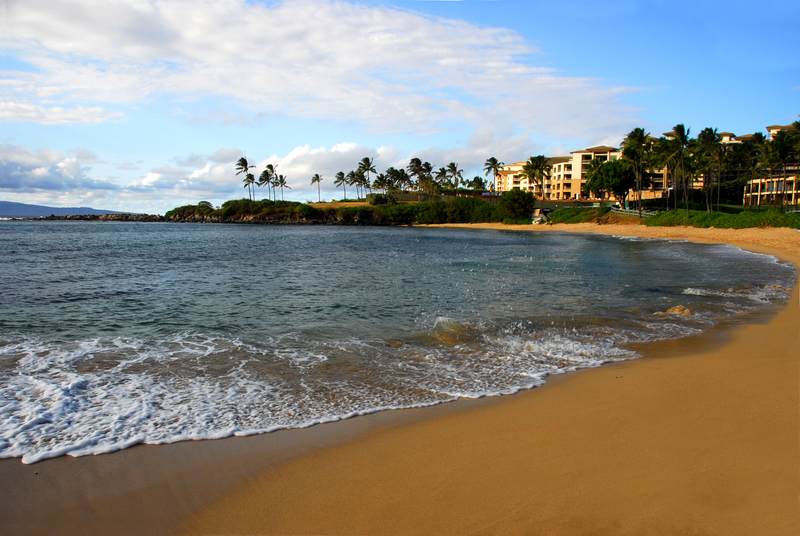 Kapalua Beach – This is possibly my favorite beach on Maui. It is a small, enclosed cove. The soft sand beach is surrounded by swaying palm trees and black outcroppings. The water is crystal-clear blue and perfect for snorkeling. To get there, drive north of Lahaina on Highway 30 about nine miles until you see the Kapalua Bay Hotel. The parking area is on the south end of the beach. 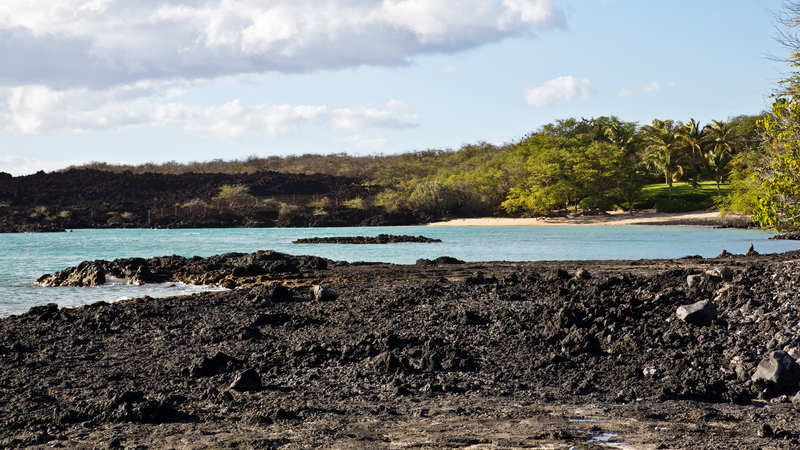 La Perouse Bay – This bay is lined with lava rock and is not one for beachcombers; however, the lava rock makes for awesome snorkeling conditions. This is one of those beaches not to miss. My family has witnessed all kinds of marine life here, including sea turtles and dolphins. To get to the bay, from Makena take Makena Road as far south as the road will take you and look for a parking lot off to the right. When the road dead-ends, hike to the ocean. Ka’anapali Beach – This is the one you will most likely see as there are so many hotels and resorts along this beach, and for good reason. It is a gorgeous beach, wide and long with soft sand. 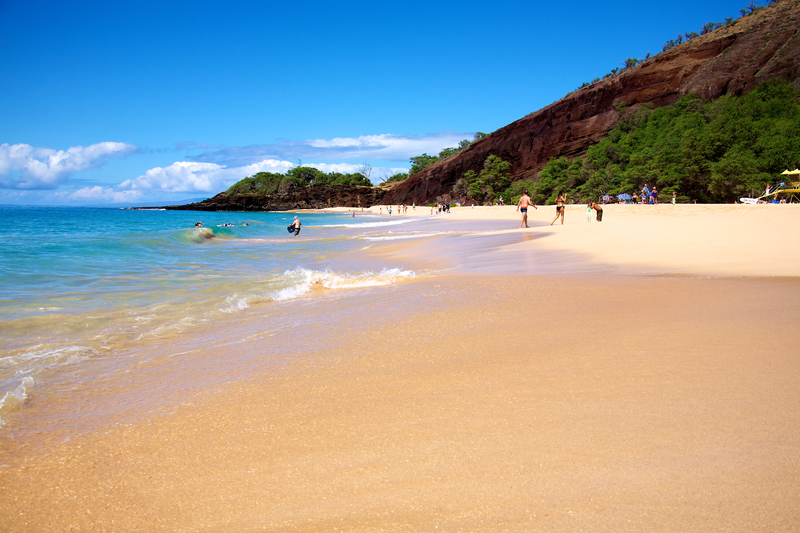 With three miles of white sand and clear water, it is no surprise that this is one of the most popular beaches on Maui. Here, you will find good shopping at Whalers Village along with many great restaurants. At the north end of the beach is a large black lava rock, which is a great place for snorkeling. At sundown, there is a special ceremony. A diver climbs up a large black rock with a torch and dives into the ocean. Go north of Lahaina town on Highway 30 about one mile, take the first Ka’anapali resort entrance, and look for parking. Your best bet could be the Whalers Village shopping center. 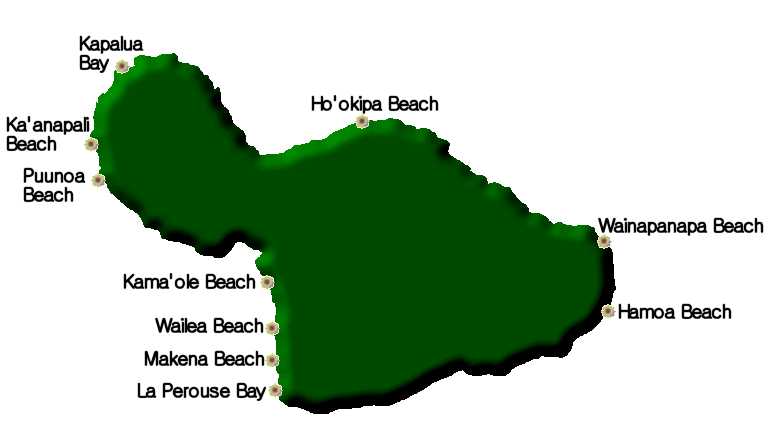 Kamaole Beach I, II, III – This sequence of beaches (also called King’s Beach) are next to Kihei and features excellent swimming, lifeguards, and beach volleyball courts. From these beaches, you can see the neighboring islands of Lana`i and Kahoolawe and also the sunken Molokini Crater. There are barbeque pits and drinking fountains. From the city of Kihei, go south on South Kihei road and you can spot the beaches between Alanu Ke Ali Road and Keonekai Road. 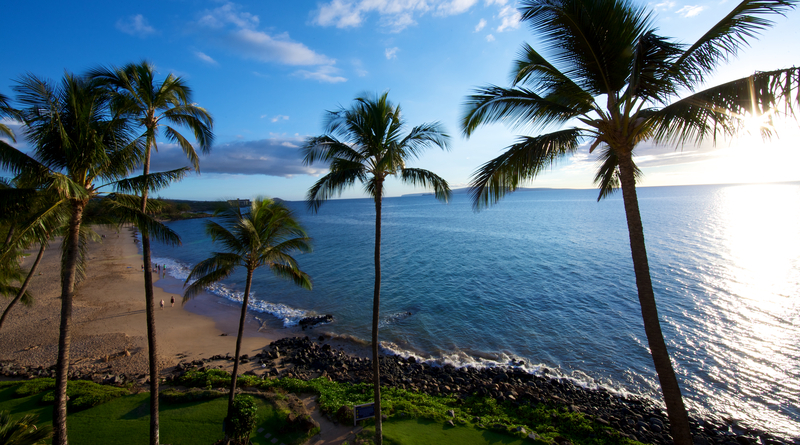 Wailea Beach – This beach is another of my family’s favorites. It is great for swimming and sunbathing. If the surf is up, you can also boogie board. My favorite activity on this beach is to walk along the boardwalk at sunset. We hit the beach at 6:30 at night and walk up and down it until the sun gets close to setting, and then we sit on the beach and watch it set. 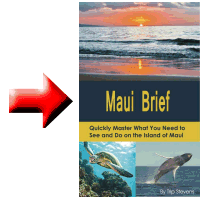 As simple as that sounds, it is one of my favorite Maui activities. From Kihei, take Highway 31 south to Wailea. The road bends west and turns into Wailea Ike Drive. From there, turn left onto Alanui Drive and drive south to Wailea Beach Park. 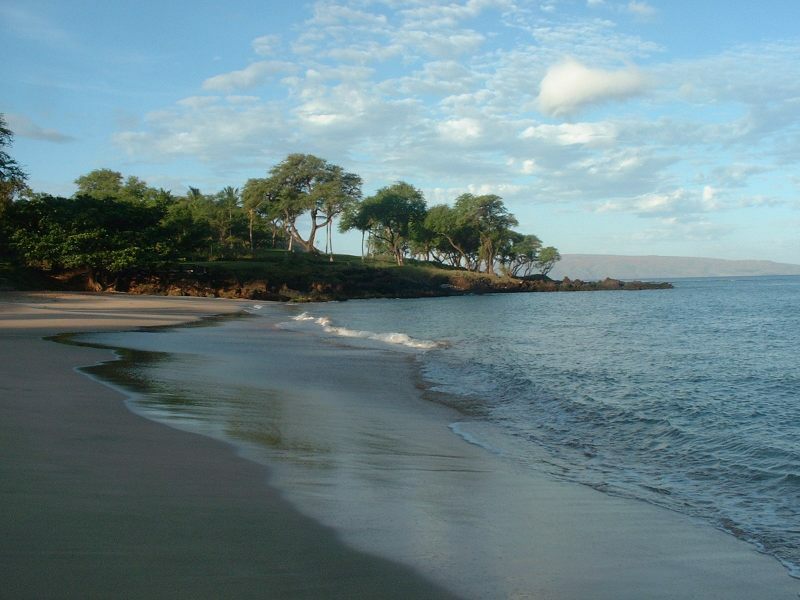 Makena Beach (Big Beach) – This is another state park with a white sand beach two-thirds of a mile long. This is not the best beach for little ones as many accidents have happened here. Be safe and you will be fine. Drive south of Makena about two miles past the Makena Beach & Golf Resort on Makena Road and you will see entrances to the beach. Always remember safety when visiting the beach. According to the World Health Organization, drowning is the third leading cause of unintentional injury death worldwide. In many countries, drowning is the leading cause of death for children under the age of twelve. Don’t let you or one of your party become part of these statistics. Find out about the surf conditions before entering the water. The water is typically calmer in the morning. I’m sure you have read before to never turn your back on the water and blown those warnings off. One family vacation, my daughter was leaving the water with her back to the ocean. She was carrying a boogie board and she got clobbered by a giant wave. When she finally made it out of the water, she had sand everywhere … and I mean everywhere. She was so shook up that she didn’t enter the water again for a couple days. While this experience didn’t have a fatal ending, it came close to ruining a family vacation that was pretty awesome up until that point. It all happened so fast no one could react in time to avert the situation. The situation just described is even worse for someone exploring along a rocky reef close to water. If a wave hits someone in the back and knocks them over, the body usually gets cut up as it gets dragged across the sharp edges. Respect the ocean.